Adobe After Effects CC 2018 16.0.0 – Create professional motion graphics and visual effects. The new, more connected After Effects CC 2018 can make the impossible possible. Get powerful new features like a Live 3D Pipeline that brings CINEMA 4D scenes in as layers – without intermediate rendering. Share work directly from within the application and get access to new features the moment they’re released. Your entire creative world, together in one place. Next story Unite 1.1.1 – Turn websites into full-featured apps. Previous story Capture One Pro 12.0.0 b4 – RAW workflow software. Adobe Media Encoder CC 2018 12.1.2.69 – Included with Adobe Premier CC 2018. 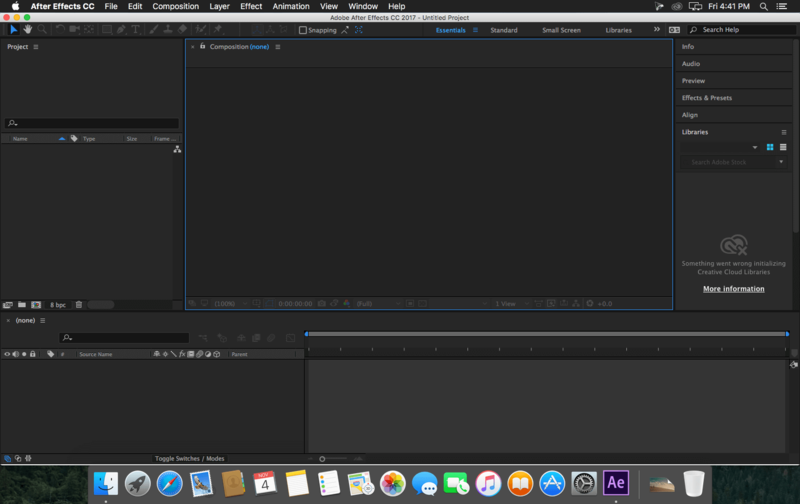 Animate CC 2015 15.2.1 – Advanced authoring environment for creating interactive content (was Adobe Flash CC). Adobe Photoshop CC 2018 19.1.6 – Professional image editor.